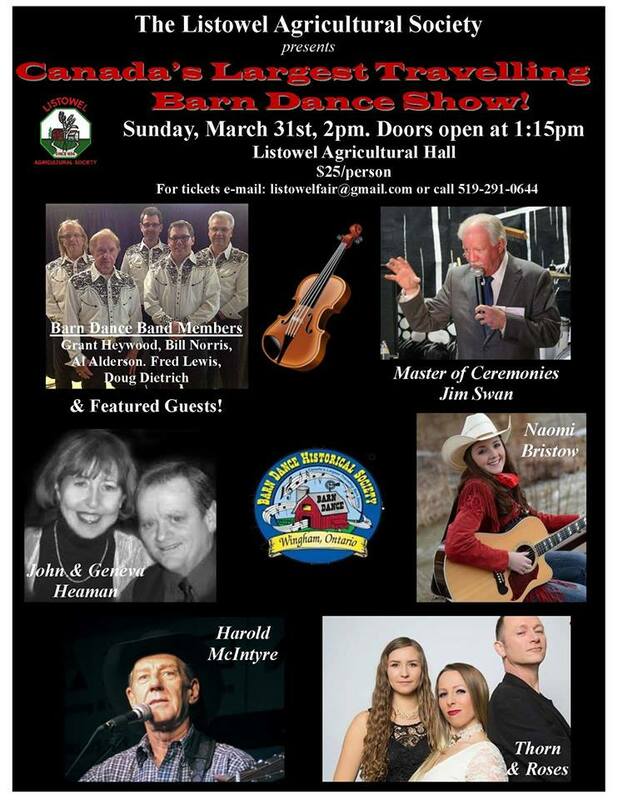 Check out the line-up for the 2019 Barn Dance Show performance at the Listowel Agricultural Hall, Sunday, March 31st, 2019! Show features Naomi Bristow, Thorn & Roses, John & Geneva Heeaman, Harold McIntyre, Emcee Jim Swan and the Barn Dance Band! Show starts at 2pm and tickets are just $25/person.